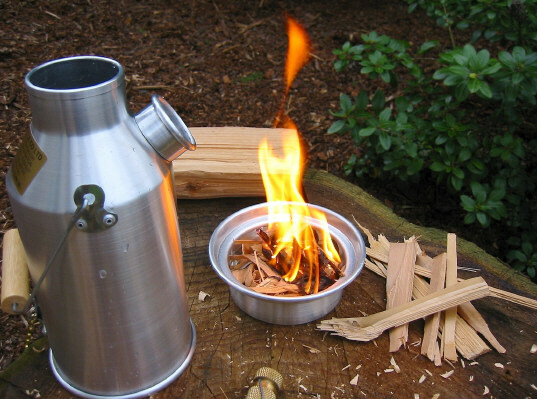 I scour the net for material for this site - part of it is survival/camping/outdoor gears, I came across this beauty called he Kelly Kettle. 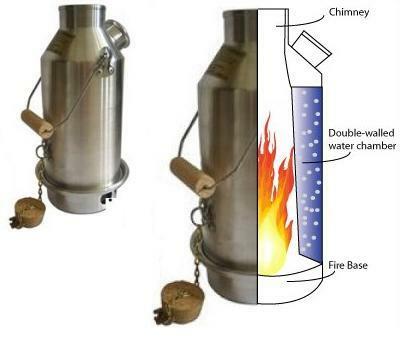 It's a woodburning portable kettle/stove. Has a unique design and boils water pretty fast based on some videos I've been watching. This is definitely on my wish list. 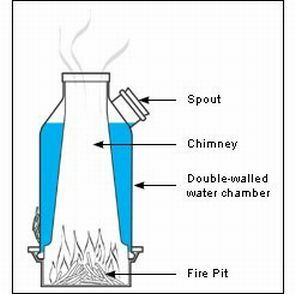 Here's a good video of a camp out and using the Kelly Kettle to boil water and cook. Doesn't take much to get the fire started. Here's another video of a review for Kelly Kettle - he actually times how long it takes to get a rolling boil which doesn't take very long at all and he only had to use a few sticks and twigs he found in the yard to get the fire going. Good demo footage. Visit the Kelly Kettle site.